Four novel proteins (phoratoxins C–F) have been isolated from the North American mistletoe Phoradendron tomentosum. The amino acid sequences of these phoratoxins were determined unambiguously using a combination of Edman degradation and trypsin enzymatic digestion, and by electrospray ionization tandem mass spectrometry sequencing. Phoratoxins C, E and F consist of 46 amino acid residues; and phoratoxin D of 41. All proteins had six cysteines, similar to the earlier described phoratoxins A and B, which are thionins. 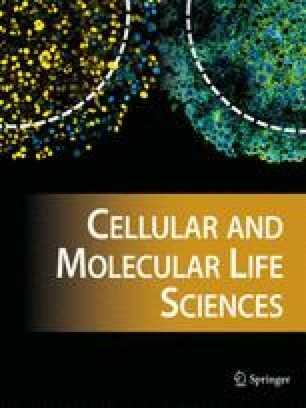 The cytotoxicity of each protein was evaluated in a human cell line panel that represented several cytotoxic drug-resistance mechanisms. For the half-maximal inhibitory concentrations (IC50 values) of the different cell lines in the panel, correlation with those of standard drugs was low. The most potent cytotoxic phoratoxin C was further tested on primary cultures of human tumor cells from patients. The solid tumor samples from breast cancer cells were 18 times more sensitive to phoratoxin C than the tested hematological tumor samples. Key words. Breast cancer; cytotoxicity drug screening; mistletoe proteins; Phoradendron tomentosum; phoratoxins; thionins; tumor cell lines.